Some time ago, a friend and former member of my quilt guild gave up quilting. She is an amazing artist and has taken her talents in another direction. 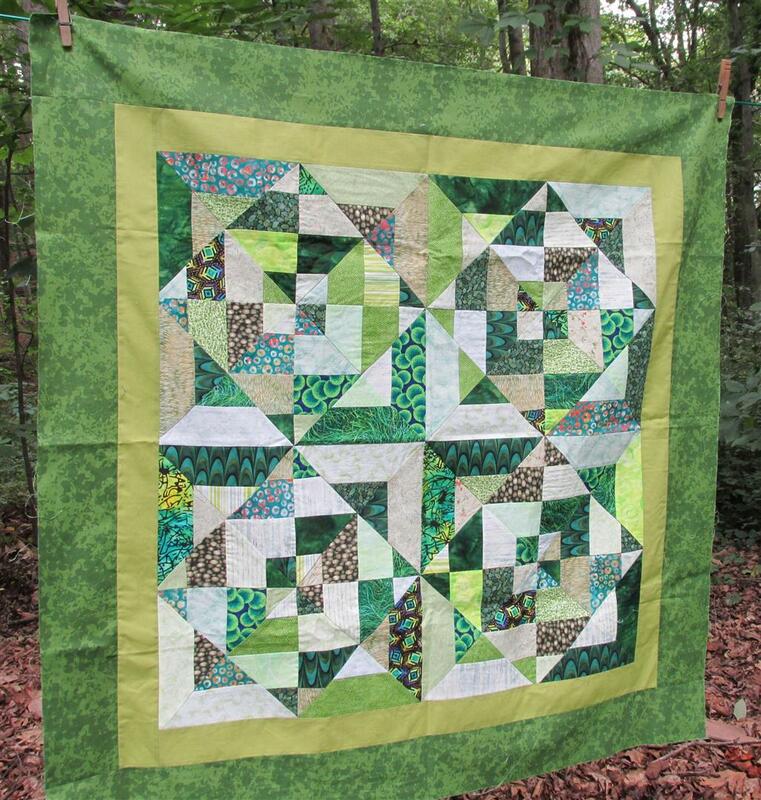 She seriously gave it up – donating the contents of her quilt studio to the guild! There were piles, no, make that mounds of fabric; hundreds of magazines and oh so many wonderful quilting books. There were tools, gadgets, works in progress and even some quilt tops. I passed all on to the guild for our various charity projects. I did keep one of the quilt tops. 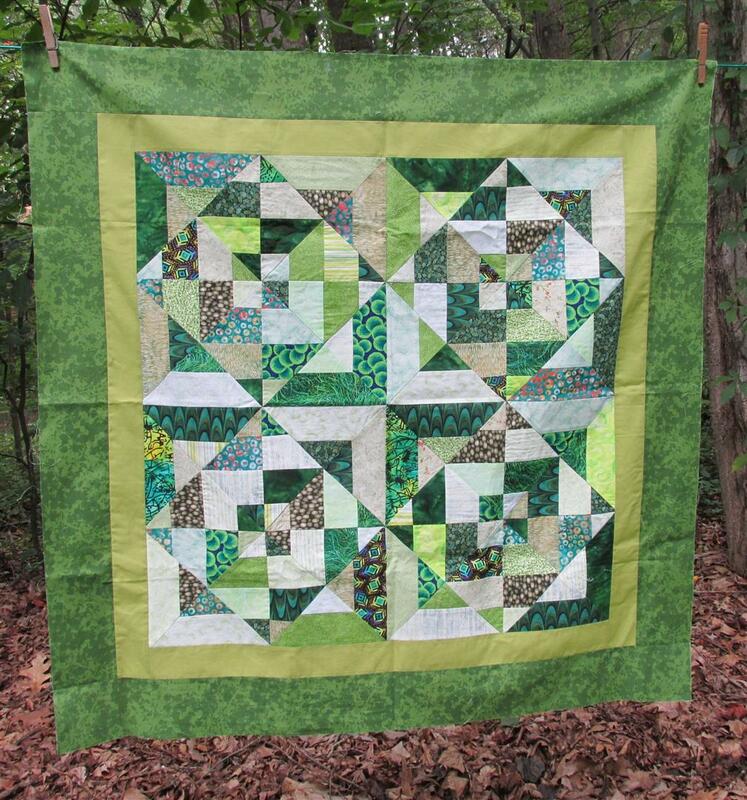 It was a bit small so I added two borders – a solid light green and a mottled dark green which really framed her work well and brought out all the wonderful greens she put into it. This top will now go to one of the guild members to be quilted and then become one of our charity quilts that goes to children in the hospital. What a wonderful quilt and so generous. Thank you Grace!